The “Birthday Surprise” box from Australian artist Brian Young is a sequential discovery puzzle box which holds a surprising reward. What could possibly be inside a birthday cake box, waiting to jump out? I’ll let your imagination run wild. The box was originally inspired by the twin characters from Alice in Wonderland, Tweedledum and Tweedledee, with the two halves representing these confusing fellows. 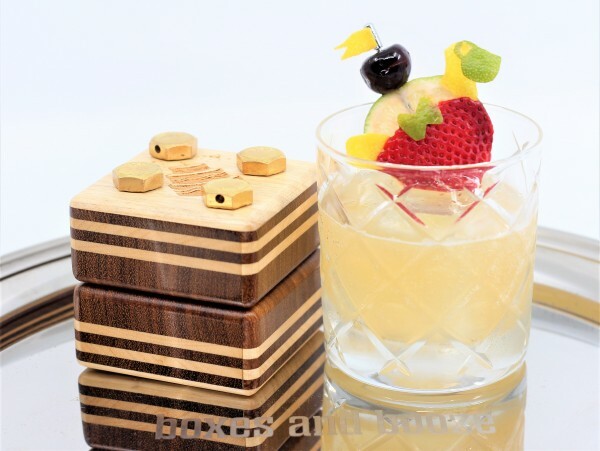 I’ve created a special cocktail to toast this creation, with a nod to the original design. 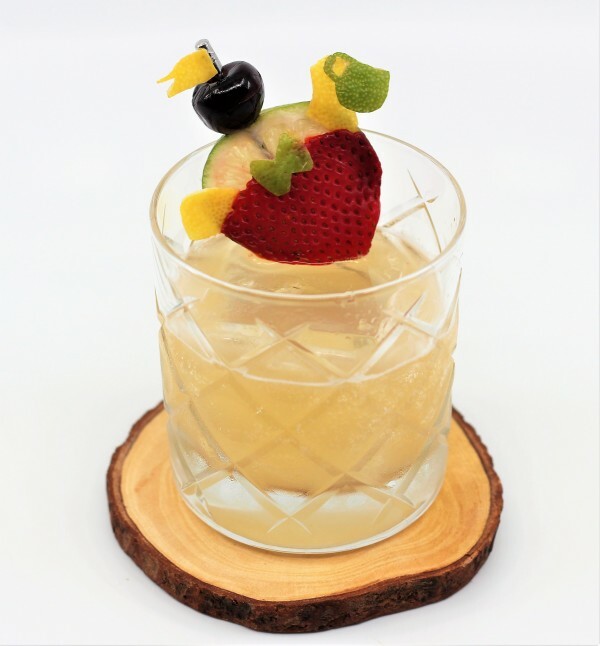 The “Tweedletea & Tweedlerum” is a simple and effective riff on the classic daiquiri, one of my favorite drinks. A (good) daiquiri is equipped with the perfect combination of rum, lime and sugar, shaken well with ice and poured. Nothing more, nothing less. It was favored by inspiring personalities such as Hemingway and it dispelled pregame nerves in Jack and Jaqueline Kennedy on election night as the ballots were tallied. 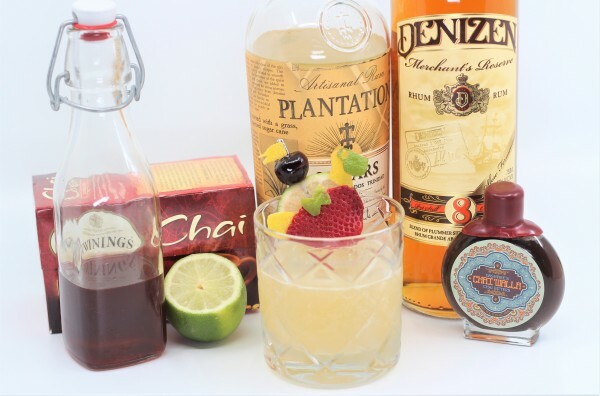 In this fall friendly version, the rum is split between a solid white using Plantation Silver (a blend of Caribbean rums with Jamaica, Barbados and Trinidad in the mix, and perfect for daiquiris) and a flavorful amber using Denizen’s Merchant Reserve, a funky blend of pot still aged rums from Jamaica and Martinique. These two halves of the whole create a wonderful balance. The sugar comes from a Chai spiced tea syrup, which adds deliciously warm autumn flavors to the drink. But any rum and tea syrup combination will work, if you find yourself in need of recreating this drink and making a toast yourself. Cheers! Shake together with ice and strain into a favorite glass (or tea cup). Garnish with a little lime wheel fellow.